Spring is the best time of year to install a new air conditioning system, something we talked about at the beginning of the season. 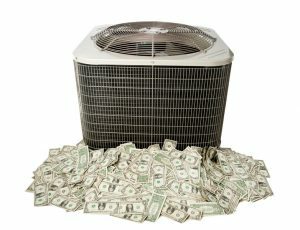 But making the choice to replace an old air conditioner with a new system is only the start of the installation process. There are many more choices you must make when it comes to a new air conditioner in Staten Island, NY, and you’ll require the assistance of HVAC experts for each of them. 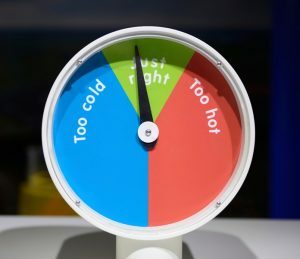 These choices include deciding on the type of AC to have installed (perhaps you want to try out a ductless system) and how powerful the cooling system needs to be (under-powered or over-powered are equally bad). In this post, we’re going to look at the question of efficiency: how well does an air conditioning system convert electrical power into cooling output? However, people often allow their energy savings of air conditioning maintenance in Staten Island, NY go to waste over the summer by forcing their cooling systems to work harder than necessary. It might surprise you to find out that some basic errors in setting the thermostat can lead to a significant bump in your utility bills. These errors are common, and we’d like to offer advice for how you can change your thermostat habits to start saving money with your AC when the summer heat arrives.